Legal Leaders Magazine - The Cartwright Law Firm, L.L.P. - The Cartwright Law Firm, L.L.P. Each year, thousands of people are effected by damage caused from severe stormes, hail, wild fires, flooding and other disasters. Filing an insurance claim is often directly preceded by these traumatic events. “We expect insurance companies to stand behind their policies, but far too often we see insurance carriers deny, delay and underpay legitimate claims,” says Daniel S. Cartwright, founder of the Cartwright Law Firm. Cartwright has been a leader in battling insurance companies for nearly 30 years. He has a passion to persue justice for individuals as well as commercial insurance policyholders who have been denied or offered undervalued property damage claims in bad faith. The last thing people want is to fight with an insurance company and to force it to pay. Not to mention insurance companies have a poor reputation for complicating the claims process by trying to improperly deny some or all of insured claims. Throughout his legal career, Daniel S. Cartwright has established a well-deserved reputation for his exacting preparation of cases, attention to details and tenacious pursuit of justice on behalf of his clients. 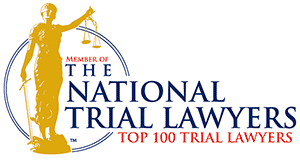 He has been nationally recognized for his extensive litigation and arbitration experience as well as his skillful ability for finding expert witnesses, investigators, professionals and economists to provide legal remedies. Over the decades, Cartwright has become recognized for his expertise at aggressively negotiating with large corporations as well as insurance companies to obtain fair financial compensation for clients and has applied his vast legal skills to fight against these insurance giants who complicate the claims process for property damage, loss of business profit or even personal injuries. From Homeowners Insurance Claims Denial to Commercial and Business Insurance Claims Denial, The Cartwright Law Firm is ready to apply their legal skills to fight against insurance companies. “Our commitment to clients drives us to stay current with severe storm information and disasters reports as well as prevailing changes in legal insurance rulings.” states Cartwright, “We work with independent adjustors, construction experts, private appraisers as well as property loss professionals to make sure we can pursue all available coverage to maximize recovery on a client’s behalf”. These experts support the claims process by presenting documented proof that is submitted to the insurance company, showing that the damage to a home or office was sustained as a result of the severe weather event. Claims can range from agent error, unreasonably denied claims, underpaid or undervalued claims to insurance bad faith. Unreasonably denied claims are all too common and these often-complex cases depend on a combination of legal, technical and expertise to dispute the denial directly with the insurance company in order to file a suit on a client’s behalf. Undervalued Claims require using experts to dispute the insurance company’s findings through independent assessment from private adjusters and appraisers. This information is then submitted to insurance companies along with other documented proof of loss. The Cartwright Law Firm also works in other practice areas such as Personal and Catastrophic Injury, Wrongful Death, Automobile and Truck Accidents as well as mass tort cases and has received an A-V rating from Martindale-Hubbell being ranked by peers as having attained professional excellence in the legal field. This prestigious ranking also distinguishes the Cartwright Law Firm for possessing the highest levels of legal skill, integrity, reliability and diligence in serving clients. As a legal pioneer, in 1988, Cartwright became one of the first attorneys in the country to investigate, develop and litigate defective breast implant claims. His expertise in pharmaceutical litigation includes Vioxx, Celebrex and Bextra. Mr. Cartwright continues to place the utmost regard on the ethical practice of law, the importance of accountability and dedication to the firm’s clients and volunteerism in the community. He is currently an Advisory Board Member of “Helping a Hero.org” Empowering severely wounded veterans returning from service providing specially adapted homes to reintegrate them into their community. In addition, Cartwight is a frequent lecturer at continuing legal education seminars both nationally and internationally. He speaks on a wide range of topics, including Property Damage and Loss, pharmaceutical litigation, mass torts and legal ethics. At The Cartwright Law Firm, we protect your rights with decades of successful experience and we know exactly what kind of sophisticated, intelligent strategy and aggressive representation you need. Our attorneys along with our affiliates have helped clients reach their financial compensation they deserve. Contact our offices in Houston, Texas, to schedule a free consultation. Use the contact form on the right.